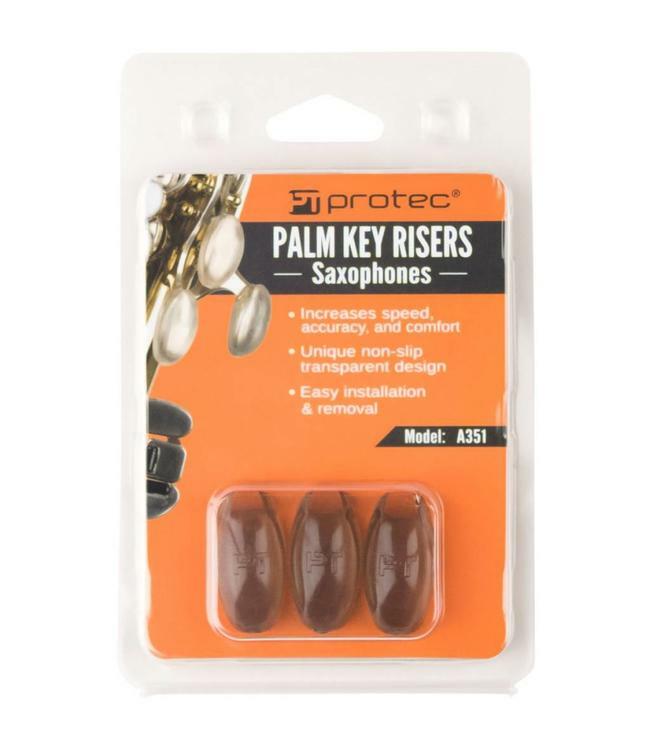 Protec’s Saxophone Palm Key Risers‘ non-slip grip surface and unique transparent design will help increase speed, accuracy, and comfort while playing. Protec’s Saxophone Palm Key Risers‘ non-slip grip surface and unique transparent design will help increase speed, accuracy, and comfort while playing. Includes set of 3 palm key risers. Easy installation and removal: simply slip over existing palm keys.